The most common way to get flood insurance is by going through the federally run National Flood Insurance Program. 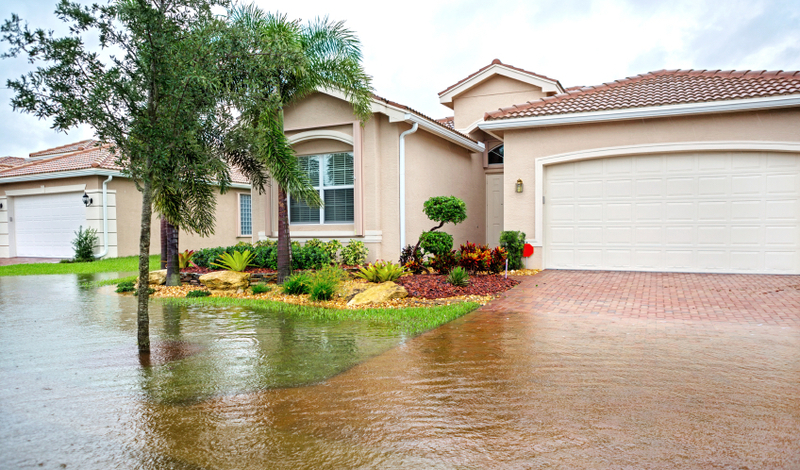 Standard homeowners insurance doesn’t cover flood damage to your home or belongings. If you want financial protection against things like hurricanes, storm surges and overflowing rivers, you need to find separate flood insurance. If you live in a high-risk zone — called a Special Flood Hazard Area — and have a mortgage on your home, you’re likely required to have flood insurance. If you live in a moderate- or low-risk area, flood insurance typically isn’t mandatory. However, no one is immune from these disasters. Flooding has occurred in every state at least once in the past five years, according to the Federal Emergency Management Agency. Having flood insurance is the only way to protect your investment in your home from a flood. Visit FEMA’s flood map service center to find flood maps of your area and determine whether your home is part of a hazard zone. The most common way to get flood insurance is by going through the federally run National Flood Insurance Program. The NFIP partners with various companies, including many of the nation’s largest insurers, to sell and manage policies. You’re eligible to get NFIP coverage as long as you live in one of its roughly 22,000 participating communities. Damage to your home's structure, including the foundation and electrical and plumbing systems. Damaged belongings, such as clothing, electronics, appliances and furniture. Damage to outdoor property, such as fences, patios and pools. Additional living expenses, such as meals and hotels, if you have to leave home. Improvements you’ve made to your basement, like carpeting and finished walls. Belongings stored in the basement. Coverage limits through the NFIP are capped at $250,000 for your home and $100,000 for belongings. If you need to go beyond these limits, consider buying excess flood insurance. Excess flood insurance allows you to increase your coverage to fully insure your home and belongings when a federal policy isn’t enough. Although compatible with National Flood Insurance Program plans, excess flood insurance must be purchased on the private market. Although compatible with NFIP plans, excess flood insurance must be purchased on the private market. Your insurance agent can help you find sellers in your area. Flood insurance includes deductibles for both dwelling and personal property coverage. This is the amount your insurer will subtract from a claim payment. Selecting higher deductibles will lower your rates, but you’ll owe more if you file a claim. With lower deductibles, your rates will increase but your policy will stretch further. After buying your policy, there’s usually a 30-day waiting period before it goes into effect. For this reason, it’s best to nail down your coverage far in advance of tropical storms or seasonal flooding. There are a few exceptions to the NFIP waiting period. For example, there’s no waiting period if you buy flood insurance in connection with a new mortgage. Check out our guide to last-minute flood insurance to learn about other exceptions. Depending on where you live, you may have the option to buy private flood insurance instead of going the federal route. If you live in a high-risk zone, you can get higher coverage limits — $500,000 for the home and $250,000 for belongings — than you could with an NFIP policy. There’s a shorter waiting period, around 14 days, compared with the 30-day federal window. It may be cheaper if your home has little history of flooding but has recently been added to a FEMA high-risk zone. Mortgage lenders may reject private flood insurance, preferring you go with a federal policy. If you drop NFIP insurance and buy private coverage, you may face a steep rate increase if you return to the NFIP. If your area is prone to flooding, you may lose out on certain hazard mitigation grant programs offered through FEMA and the NFIP. Because private flood insurance may not be available in all states and communities, it’s best to talk to your home insurer or agent about coverage options where you live. The average flood insurance policy costs around $700 per year, according to FEMA. However, a preferred risk policy — the name for plans sold to customers in low- or moderate-risk zones — will likely be cheaper. If you buy maximum coverage for a home with a basement, for instance, FEMA estimates a preferred risk policy would cost around $474 per year. Going with a private insurer could affect your rates, although the exact impact is hard to predict. If FEMA has recently remapped your home into a special flood hazard area, you may find cheaper coverage on the private market. Building materials of your home. Number of floors in your home. Where inside your home you keep belongings. Coverage limits and deductibles you choose.